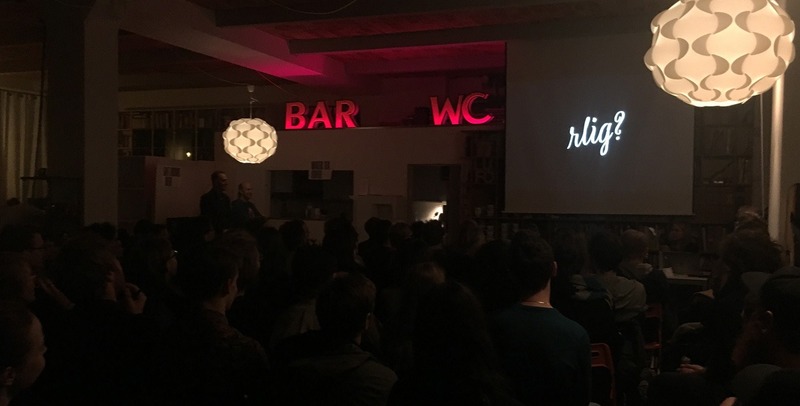 At the evening before Typo Labs, David Březina spoke for an audience of around 150 visitors, our biggest Stammtisch yet! We moved from a regular bar to the LucasFonts office because we expected many visitors, but not that many! The office was flanked by two courtyards with flowering Narcissus, Tulips, and even a few Hyacinths, so that even the people standing outside had something nice to look at, yes, not everyone could get inside. Pixel perfection: do you find the LucasFonts logo? 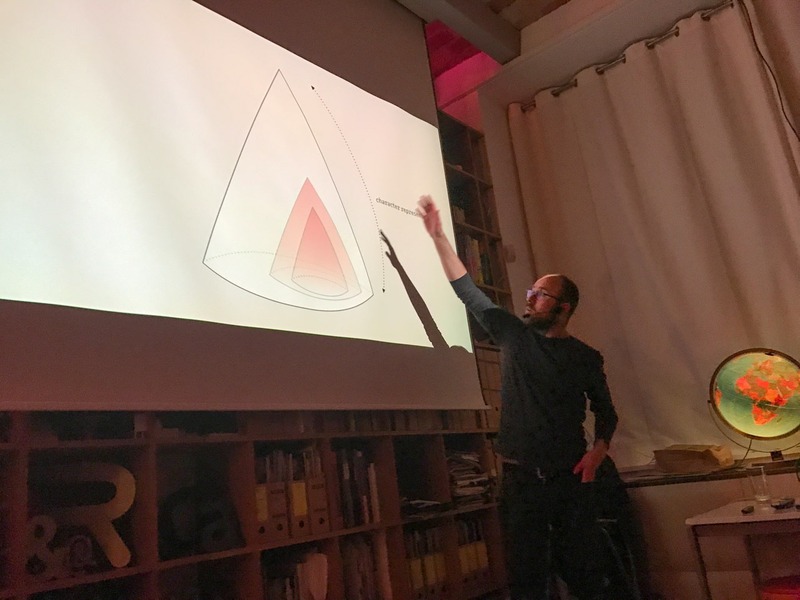 David held an inspiring talk structured in two lectures: first he introduced the Rosetta team, talked about recent work, their workflow, and about their approach to multi-script design and harmonisation. 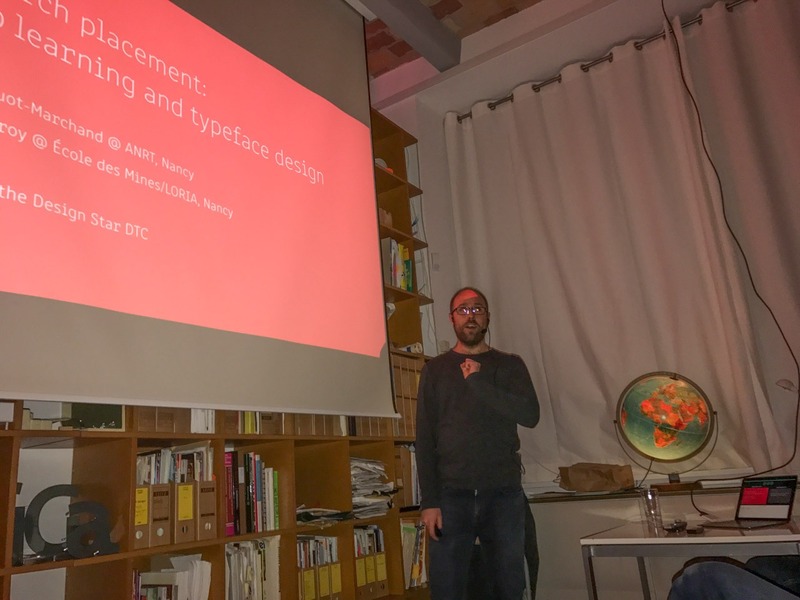 The second part was about his ongoing PhD research on coherence in typeface design. If relations between character shapes are formalised the outcome might lead to something reusable to design and teach type more effectively. He showed some interesting examples of neuronal networks completing typefaces, that were close to what a designer would have done. David Březina was so generous as to provide a very long and mannifold talk – to a very attentive audience. 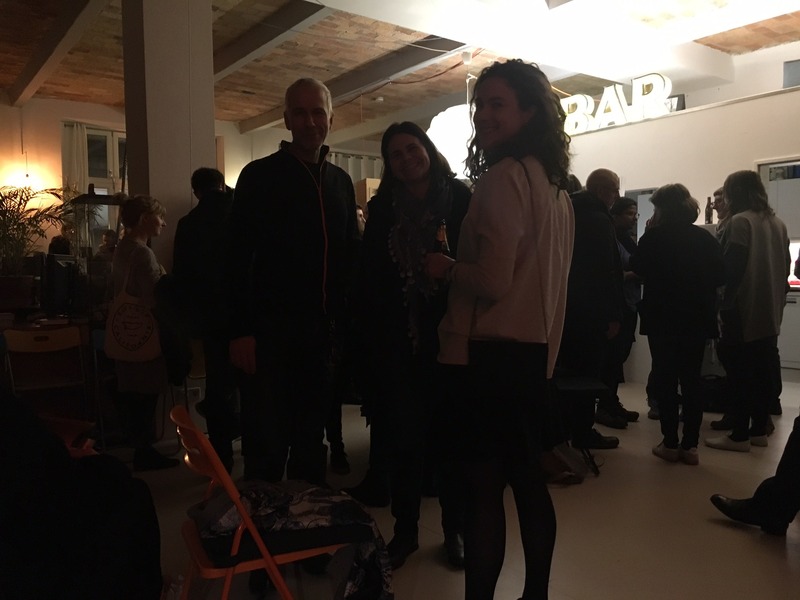 Typostammtisch host Luc(as) de Groot with two of so many lovely visitors: Marina Chaccur (based in The Hague) and Maria Doreuli (from Moscow). We were joined by many international guests and the atmosphere after the lecture was joyful. 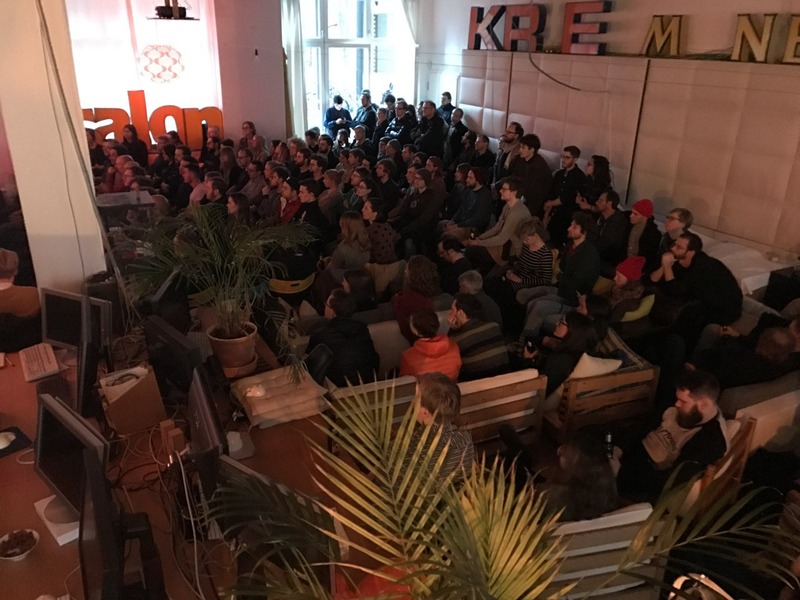 To still the hunger and thirst of the visitors, more drinks had to be bought, and when all food was gone, Glyphs’ creator Georg Seifert sponsored a pile of pizzas. They disappeared in no time. Many thanks to Georg! The evening was accompanied by a small Rosetta exhibition (left side in the follwing picture) featuring Skolar Sans, a collaboration of David Březina and Sláva Jevčinová, and Gitan by Florian Runge. Success took us all by surprise, we must say. 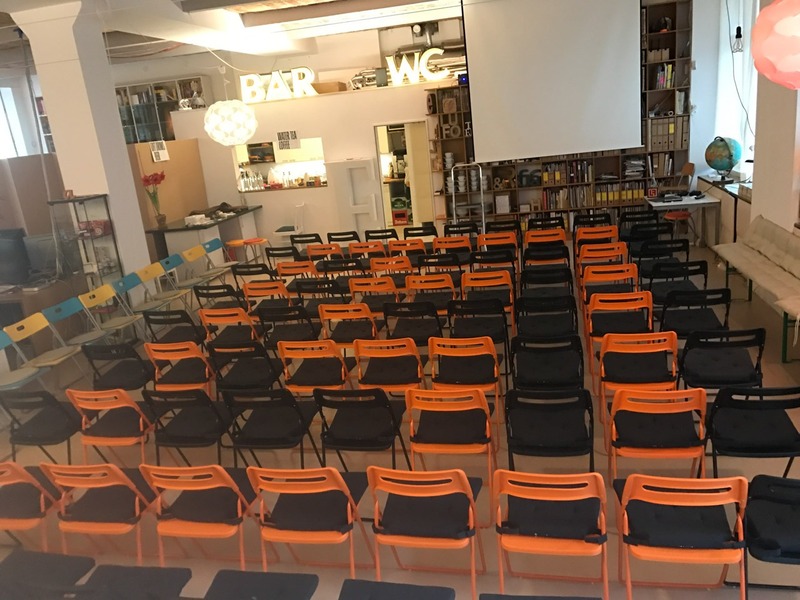 We were super happy to hear our first and fulminant “pre-Labs” Typostammtisch and, most of all, David’s talk being referred to quite some times during the following conference days – thank you, everyone! 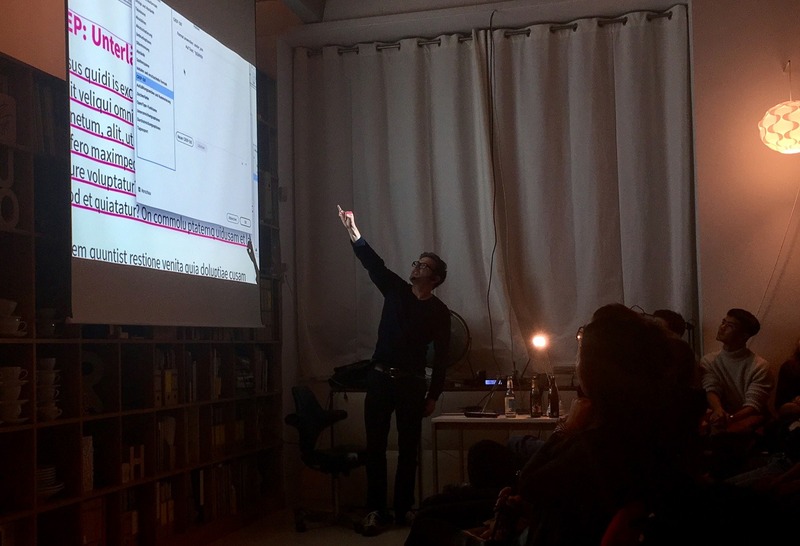 After these full-packed days, once again, it very much felt like living at the heart of were type and typography are being discussed, designed, produced, engineered, in short: loved madly by many.